Do you have a new product idea or invention you want to protect? Get patent pending status easy, fast and cheap with a provisional patent application. I have even created a DIY option to get Patent Pending status on your product in as little as one day and for less than $100 – check it out here. When you are ready to move forward to get your invention patented, file a non-provisional patent application. Not sure if your invention or idea has been thought of before, a patent search can show you similar ideas that others have patented. Want to protect your business, service or product name with a registered trademark? I offer a flat-fee, trademark application service. Trying to choose a new name that won’t conflict with others? A trademark search can help you decide whether to invest in a new business or product name. Protect your creative work with a registered copyright. A copyright attaches to most original works of authorship as soon as the work is “fixed in a tangible medium.” However, having a registered copyright can give you certain advantages, especially if you need to stop infringement. Provisional Patent Kit – complete package showing you how to do a DIY provisional application. An easy and inexpensive way to start with a patent. Learning how to protect your ideas is an important part of the process for developing, producing and marketing an idea. Whether you want to license your idea to a manufacturer or want to be the manufacturer yourself, you need to protect all aspects of your idea. I can help by applying my knowledge of the various forms of IP protection to help you including trademark, copyright and patent. Stephen W. Aycock II, Esq. Call or email us today for a confidential initial consultation. I serve clients from across the U.S. and in other countries. My office is located in Lakeland, Florida, which is convenient for clients in the central Florida area cities such as Brandon, Winter Haven, Bartow, Mulberry, Tampa, Plant City, Dunedin, New Port Richey, Clearwater, St. Petersburg, Apopka, Lake Mary, Orlando, Kissimmee and Melbourne. No matter where you live, I can be your patent attorney (or trademark or copyright attorney). 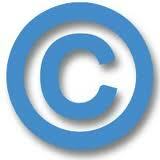 Whatever intellectual property need you have, give me a call or send me an email and we can discuss it.